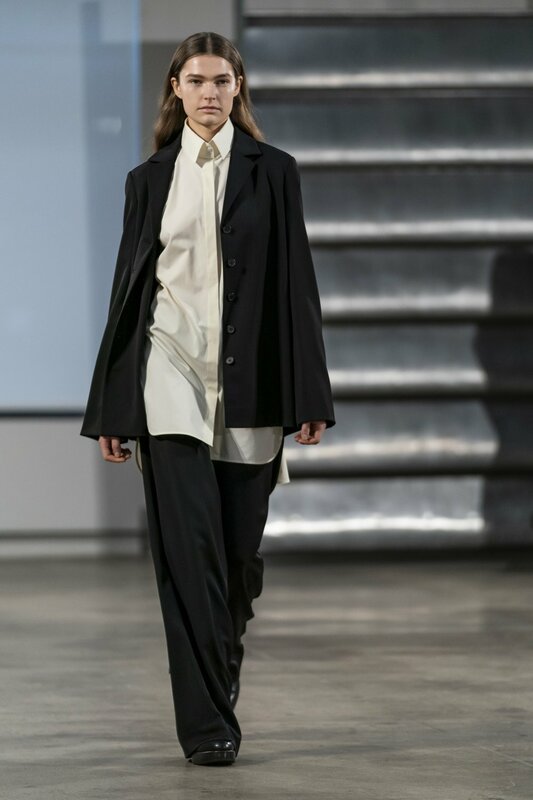 images courtesy of The Row. giving a much-wanted piece of art is one of my favorite personalized gift ideas because it’s the gift that keeps on giving. it’s the last chance to stock up on old Céline eyewear, and this pair of face-framing cat-eye shades are at the top of my list. just because it’s the holidays doesn’t mean gift giving has to be impractical. 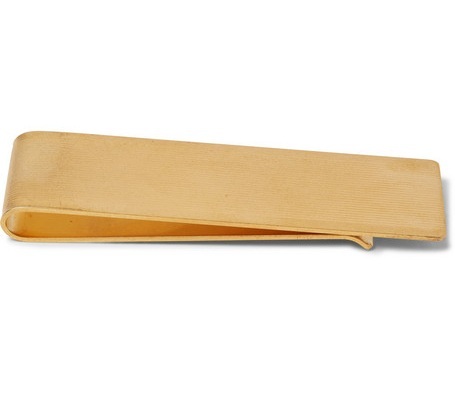 I love the thought that goes into a practical gift — like these perfect minimal leather loafers. 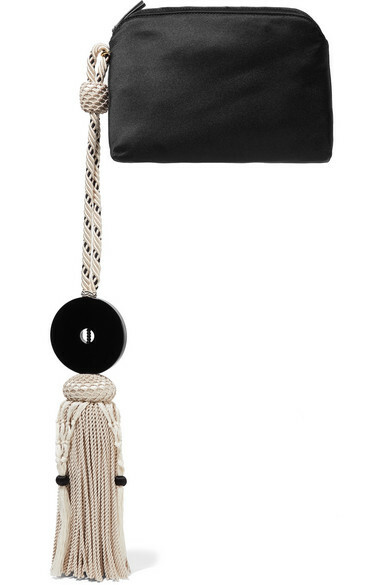 how chic is this variation of The Row’s tassel satin wristlet? 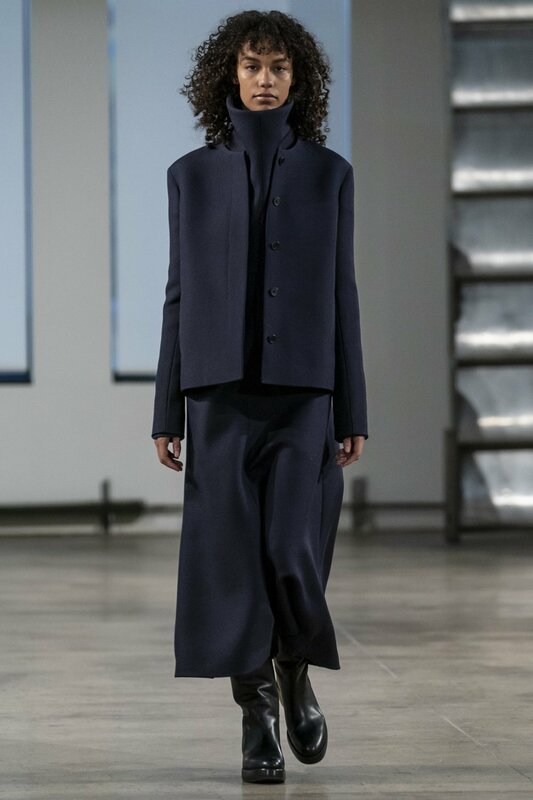 not just for holiday parties (hands free! 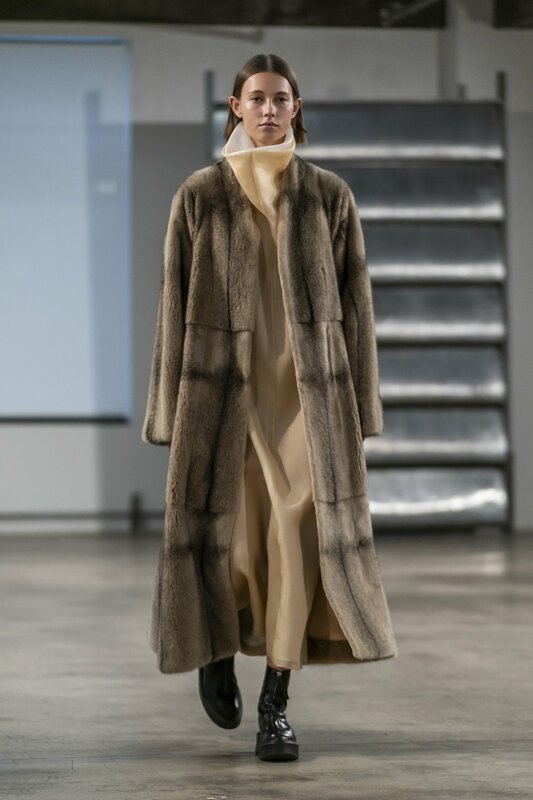 ), but makes a show stopping accessory year round. I love this sterling silver and 18K gold take on Spinelli Kilcollin’s signature 5 band ring. I would 100% wear this ring every day and night. I love all types of photography and frequently shoot film. this Polaroid Originals SX-70 Sonar instant film compact camera (with manual controls and a 116mm f/8 glass lens!) not only looks sleek, but produces high quality, retro prints. 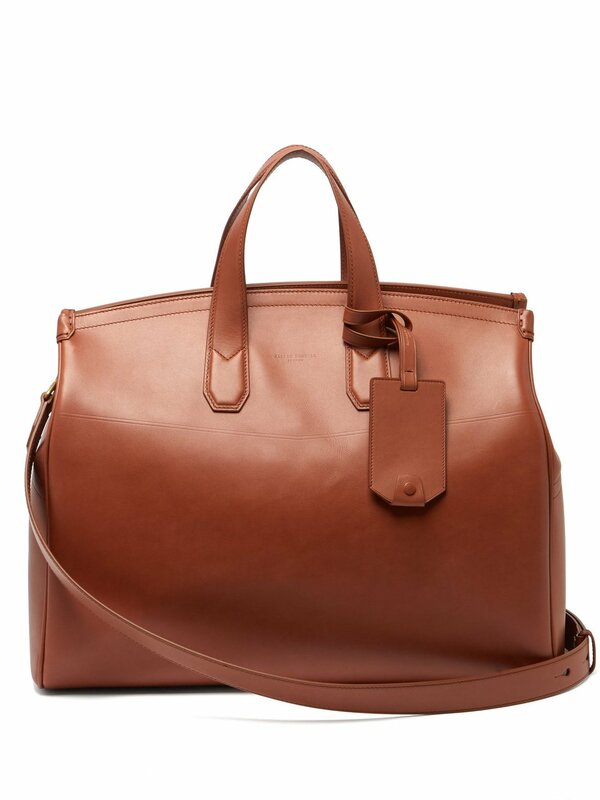 every man needs a smart leather holdall. this one-bag-fits all by Dunhill works for travel, gym, or to and from the office. this The Row minimal, engraved gold money clip is going under the tree for my husband — I might even steal it from him for myself! 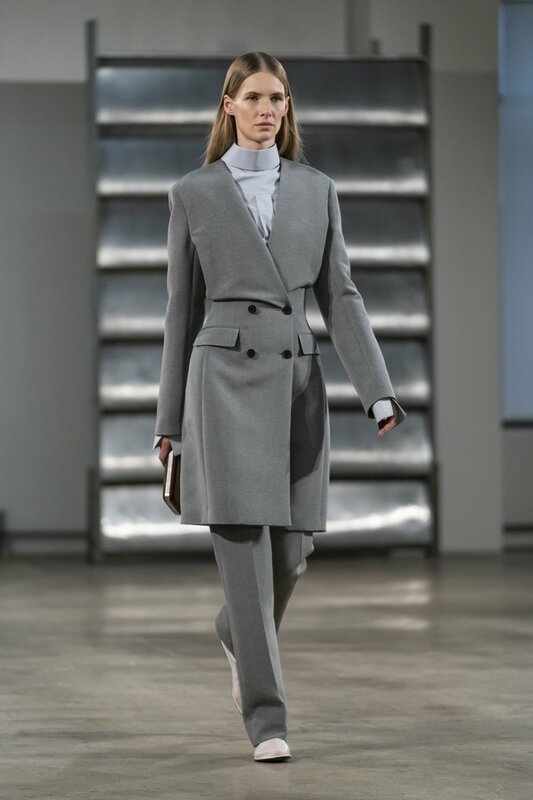 if I ever were to convert my husband to becoming a Margiela wearer, this wool houndstooth coat would be it. who doesn’t love a chic (and comfortable) pair of slippers to elevate your at-home loungewear? These Italian leather slippers by Sulka are a must. 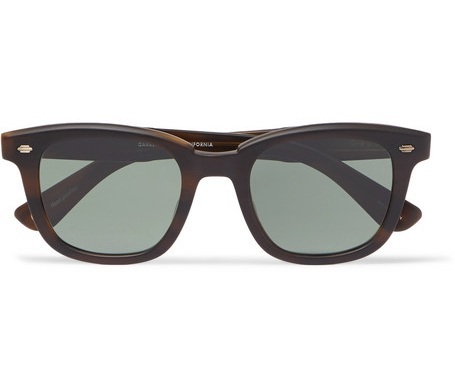 my husband’s sunglass brand of choice is California-bred Garrett Leight — known for versatility, they’re perfect for a day at the beach or a black-tie affair. these buy-once-cry-once baby cashmere lined leather gloves make for a timeless and luxurious gift.